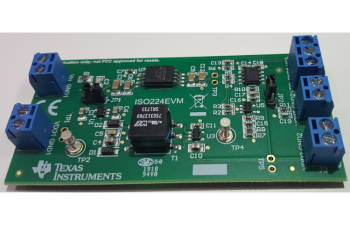 The ISO224 evaluation module (EVM) is an evaluation platform for ISO224, which is a 7-kV reinforced isolation amplifier designed for use in voltage-measuring applications. ISO224EVM allows the user to explore all the features of the ISO224 device. ISO224EVM also features a bipolar and unipolar differential to single-ended output stage. 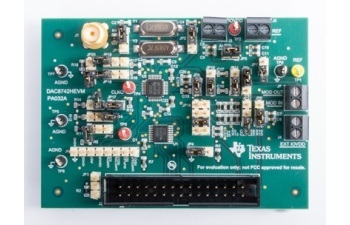 The DAC8742H evaluation module (EVM) is an easy-to-use platform for evaluating the functionality and performance of the DAC8742H device. The DAC8740H, DAC8741H, and DAC8742H are HART®, FOUNDATION Fieldbus™, and PROFIBUS PA-compliant low-power modems designed for industrial process control and industrial automation applications.The DAC8742HEVM is a complete evaluation kit that includes the USB2ANY and evaluation software that is compatible with Microsoft Windows® XP and Windows® 7/8/10 operating systems.